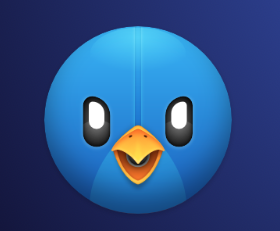 Today, the popular app developers, Tapbots, released a new version of their Tweetbot app for Mac. It’s the third incarnation of the app. This app has been updated to meet some of the new Twitter API standards, along with changing the design and UI of the app from the ground up, and includes a Dark Mode, along with many other new features. On top of that, the app has a brand new app icon. The icon is currently only available for the Mac version of the app. One of the newer items to the app is the notifications tab, which is designed like the current Twitter for iOS app where your likes, retweets and follows appear. It was also a feature in the old Twitter for Mac app that was discontinued earlier this year. Twitter has said that the apparent third-party app support will end on June 19, 2018, with Favstar, the service that shows who favorited other users’ tweets, will also be ending their support on June 19, as well. To clarify though, according to 9to5Mac, there is nothing that is going to be happening on June 19 as of right now. 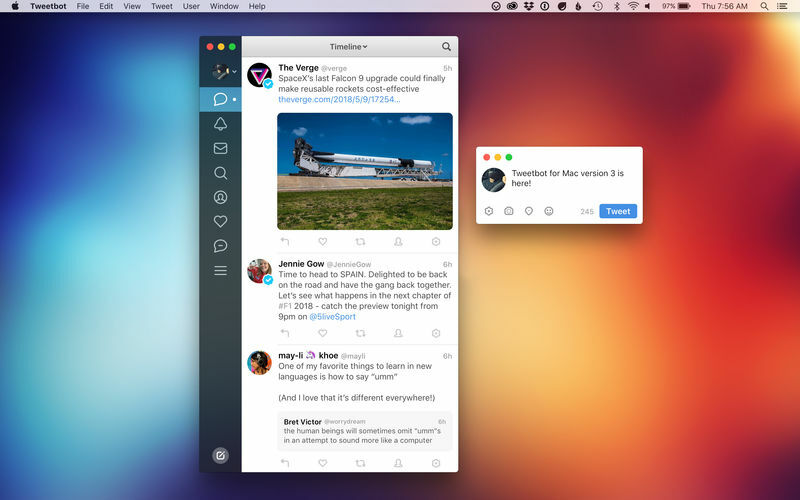 Tweetbot 3 for Mac is currently available in the Mac App Store and is priced at $9.99. This is the same price as their competitor, Twitterrific for Mac.